My ancestor may have obtained his life and his freedom, but he never rejoined Navajo society. His language and even his name—he was called Santiago Santistevan—became Spanish, and all threads of Navajo culture were lost in my family. The destruction of Native cultures has taken many forms throughout our country’s history, from Manifest Destiny to mining operations, from blankets laced with smallpox to aggressive policing. According to the Center on Juvenile and Criminal Justice, Native Americans are the racial group most likely to be killed by law enforcement. But the displacement and assimilation of Native children is just as much a part of that history—and it didn’t end with my great-great grandfather. Genocide, as defined in the United Nations’ 1948 Convention on the Prevention and Punishment of the Crime of Genocide, includes “forcibly transferring children of the group to another group” when done “with intent to destroy, in whole or in part, a national, ethnical, racial or religious group.” This (and other definitions) undeniably applies to our nation’s history with indigenous peoples. Less acknowledged is that, according to a June report out of Maine, the cultural genocide continues today. That report, titled “Beyond the Mandate: Continuing the Conversation,” zeroes in on what might be evil at its most banal: the intricacies of child-welfare laws. “Beyond the Mandate” shows that Native children are disproportionally put into foster care or put up for adoption, often taken in by non-Native foster families unwilling or unable to preserve the child’s language and heritage. Sadly, this problem is not unique to Maine. As Truthout recently reported, over half of South Dakota children in foster care are indigenous, despite indigenous children making up only 15 percent of the youth population. And nearly nine in ten of these were in non-Native foster homes. But while other states face similar issues, Maine’s “Beyond the Mandate” is the first report on indigenous child welfare in the United States to be created by a “truth and reconciliation commission” (TRC)—the Maine Wabanaki-State Child Welfare Truth and Reconciliation Commission. The TRC model arose in Latin America in the 1980s but was popularized in post-apartheid South Africa. While some criticize these commissions for being unable to enforce real accountability, proponents argue that an honest appraisal of injustice can be a radical first step towards change. There are four Wabanaki tribes living in Maine, primarily in the state’s northern half: the Passamaquoddy, who have two reservations, the Maliseet and Penobscot, who have one each, and the Micmac, who have no formal reservation in Maine but own land and a cultural center in Aroostook County. The TRC’s report comes at a time of high tensions between these tribes and the Maine government. In April, Gov. Paul LePage had rescinded his own 2011 executive order requiring that Native peoples be directly consulted on state policy that affects them. This decision came amidst controversy over indigenous fishing rights and local water quality. To the four remaining Wabanaki tribes, these issues bode ill for the future. The ancestors of the Wabanaki, meaning “People of the Dawn” or “People of the Dawnland,” have inhabited present-day Maine and adjacent territories of present-day Canada (a region they call Wabanahkik, or “Dawnland”) since the retreat of the glaciers some 12,000 years ago. 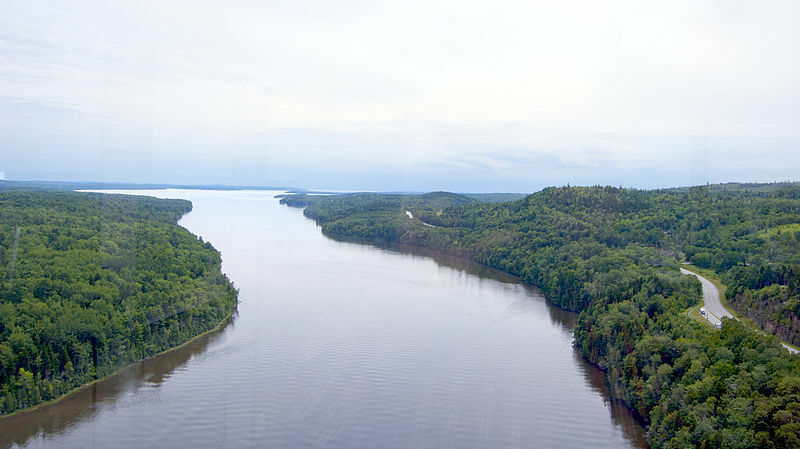 Maine is heavily forested even today, and Wabanaki economy and spirituality are connected to the state’s woods and rivers. At one time there were over 20 Wabanaki tribes, and an estimated 32,000 individuals. From 1616 to 1619, more than three in four died. This near extinction was mostly due to European disease, though more direct conflict with European humans also played a role. For the next 400 years, Wabanaki relations with the British Crown and the U.S. government remained fraught with distrust and confrontation. Colonists placed bounties on Wabanaki scalps, kicked them off of their land and attempted—with varying success—to replace their traditional Earth-centered spirituality with Christianity. When the assimilatory boarding schools spread across the continent, Maine was no exception. In Canada, indigenous people filed multiple class-action lawsuits over the country’s Indian residential schools, which were similar in intent and effect to the U.S.’s boarding schools, and the last of which closed in the 1990s. In addition to some financial reparations, these lawsuits led to the creation of a TRC (which also released a report this June) to facilitate the healing process. Thousands gathered for a week of events in Ottawa coinciding with the report, which ended with 94 specific recommendations for rectifying this historic injustice, some symbolic (apologies from the government and the pope, and including “Treaties with Indigenous Peoples” in the Oath of Citizenship) and others more material (reforms to the criminal justice system and increases in educational funding). Not quite 300 gathered in Hebron, Maine, for the Wabanaki-State TRC’s closing ceremony, and the event lacked the national attention of its Canadian counterpart. But unlike many TRCs this one did not seek only to remediate and recover from the crimes of the past, but also to confront an ongoing tragedy—residential schools may have closed, but the Maine foster care system still discriminates. In Maine, such legislation was badly needed. In Aroostook County, home to a band of the Micmac People, 30 percent of Native children were in state foster care in 1972. Statewide, indigenous children were put in foster care at rates 25 times higher than other children that year. The TRC was unable to obtain precise data on the given justifications for taking these children away, but the commission points the finger at “institutional racism,” “historical trauma” and “contested sovereignties and jurisdictions between the state and the tribes.” While the report does not delve into this, indigenous people across the country face high rates of poverty, unemployment, incarceration and substance abuse. ICWA helped, but it was no cure-all, and for years Maine regularly brushed the legislation aside. In 1999, a joint state-tribal venture sought to address the inadequacy of the state’s ICWA compliance. This workgroup prepared and delivered a training session for child services workers, explaining both what ICWA meant and why it was necessary. As part of this training, they recorded and showed a video of Altvater sharing her own horrific experience within the child welfare system. The ICWA Workgroup would eventually become Maine-Wabanaki REACH, an organization intended to seek solutions and help both Native and non-Native communities understand the issue. The idea for a TRC first surfaced in 2008. The proposal grew out of a series of “painful discussions about privilege and racism,” says REACH co-director Esther Attean, who is half Wabanaki and a member of the Passamaquoddy tribe. Understanding the role past trauma and persisting prejudice still play in tribal-state interactions, the group felt a TRC might be able to bring much of this historical baggage to light. Attean, Altvater and other Wabanaki spent two years pursuing the idea, and in February 2011 presented a declaration of intent for a TRC to the state. The declaration received pushback—which Attean sees as a sign of “respect for the process,” a departure from the norm in which tribal people are “placated” out of “political correctness”—and in May they went back to work to rewrite the declaration, this time with the state playing an active role. In June 2012, Gov. LePage and five Wabanaki chiefs (between them representing all four remaining tribes) signed a Mandate for the Maine Wabanaki-State Child Welfare TRC. The fact that both sides—the state and the tribes—had mutually endorsed the commission is unique among TRCs. Once the five commissioners—two of whom are Native, though none of whom are Wabanaki—had been chosen, they spent 27 months researching and preparing their report. They used data from Maine’s Department of Health and Human Services (DHHS) and collected 159 statements—95 from Native people and 64 from non-Natives. While the going was stressful, Attean is “very pleased” with the final product. The statistics are troubling: Native children were 5.1 times more likely to be taken by child services over the last 13 years as non-Native children, and as late as 2012, Maine placed half of the Wabanaki children in its care into non-Native households. The commission’s findings are summarized into 16 points at the end of the report, as well as 14 recommendations for the future: Infringements on Native sovereignty must be reined in, funding must be more accessible for Native child welfare and foster homes, ICWA compliance must be strengthened and the reality of genocide must be acknowledged and worked through. It is now REACH’s task to help the state and the tribes to implement these proposals. ICWA, if implemented correctly, would keep Native children out of the state system and within their tribe whenever possible. But the commission found that before 1999, no concerted effort had been made by the state to explain ICWA regulations to child welfare workers, and even now more could be done to impart the law’s significance. From 2006 to 2009 up to 53 percent of children did not have their Native ancestry verified, meaning a number of Wabanaki children were thrust into the state system without ICWA protection. A DHHS worker (statement-providers were not identified by name in the report) spoke of simply assuming that white-looking children were white, without asking whether they had Wabanaki heritage. But more often than not it is the state that has the final say. The Micmac and Maliseet do not have their own court system (which the TRC recommends should change), and the courts of the Penobscot and Passamaquoddy only apply to tribal members who live within their territory. Maine governmental workers struggle to reconcile themselves to the idea of “nations within a nation,” and the bureaucratic hurdles of ICWA are seen as a hassle rather than a necessary protection. But this is more than just a community losing its children. While the details of the TRC’s report are unique to Maine and the Wabanaki, it is one chapter in a broader story that rings true across the continent, from Taos, New Mexico, to Carlisle, Pennsylvania. In February the Bureau of Indian Affairs released new guidelines meant to improve ICWA, and more and more states are realizing the harm caused by their child welfare services. In many Native communities genocide is not a thing of the past, but an everyday struggle. The visceral nature of this trauma is perhaps starkest in an anecdote from a former Wabanaki health director: After a severe ice storm in 1998, the tribes received substantial donations of blankets. No one would take them. Generations later, the memory of smallpox was still too fresh. The past has not left an easy legacy for the present, but one Wabanaki chief, not identified in the report, is hopeful about the legacy we can leave the future. Rather than focus on demanding rights, he argued, the Wabanaki must offer their alternative worldview and value system as the basis for potential solutions to the environmental crisis. While the dominant culture wreaks havoc on the living world, the ecologically conscious Wabanaki can “provide a voice … to those yet to come.” The chief has found that this voice draws people to the indigenous cause—Native viewpoints no longer just deserve to be heard, but are essential to survival. Not all Wabanaki who were asked agreed to give statements to the Maine TRC. Some had hoped the commission would have more teeth, with the capacity to levy reparations, and others felt it was too soon for reconciliation. Nonetheless, the TRC’s report does manage to give a voice to a group too often silenced in this country. In its sobering pages, we discover how easily racism, ignorance and the inertia of past injustice can fuel a continuing genocide. Despite current tensions between Gov. LePage and the tribes, the issue of child welfare has been able to foster collaboration in recent years. Attean hopes that Maine will adopt the TRC’s recommendations, and more indigenous children will retain their cultural heritage—beginning to reverse a centuries-long genocide. Ideally, she says, the truth and reconciliation process will serve as a model for other states and tribes. Altvater has been sharing her story for well over a decade, and it hasn’t always been easy. But the commission’s conclusions are validating. “To me it legitimizes things that we’ve been saying for a long, long time, and people just ignore and say just get over it.” The TRC’s report is difficult to ignore, and the years of pain contained within are difficult to get over. By looking the past in the eye, Maine and the Wabanaki may have made it possible to finally start moving forward. Get It Now.s-d-f-n-t-h-s-e-t-m-e < I'm making over $7k a month working part time. I kept hearing other people tell me how much money they can make away online so I decided to look into it. Welldone, it was a all true and has totally changed my life. As this article points out, the war against the Native Peoples in the Americas is not over as so many believe. Many Natives are in the process of losing even more of their lands and water as I write and this goes unreported in the corporate media. From fracking to tar sands, the resource wars still rage and these are but two examples why. It isn't only in the Americas either. Just ask the Hawaiians? They didn't ask to become a state and if they had their way, they would throw all corporations out and any others who harm their lands. This is a global problem people don't think about and rarely even know of when media is owned by so few at the service of so few and tied in with those doing the most harm to our earth and her people.